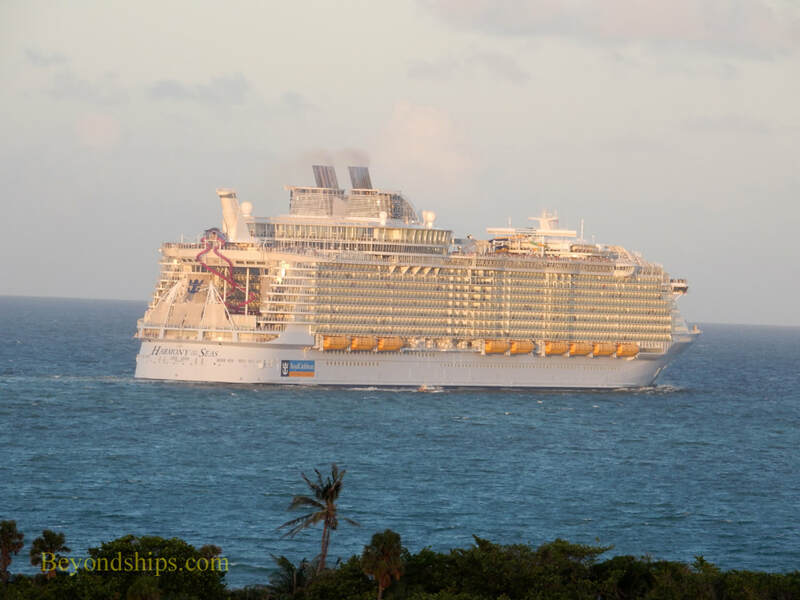 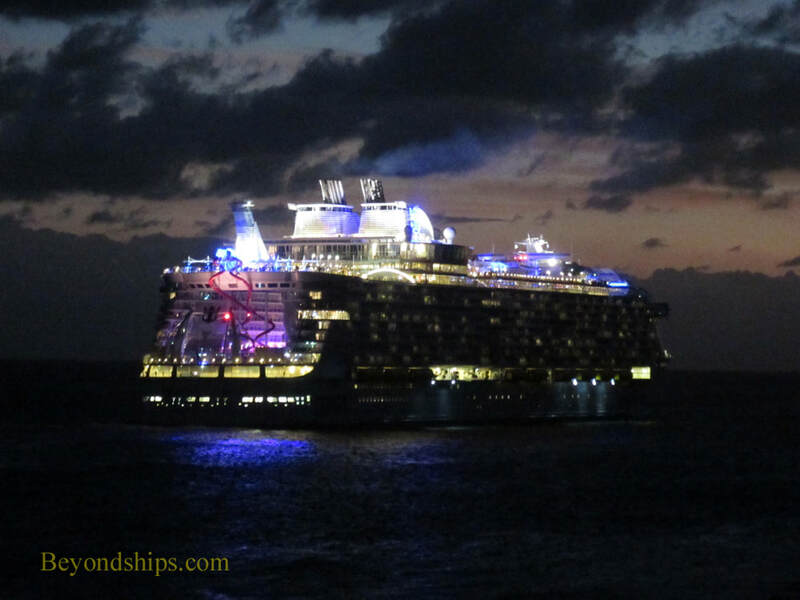 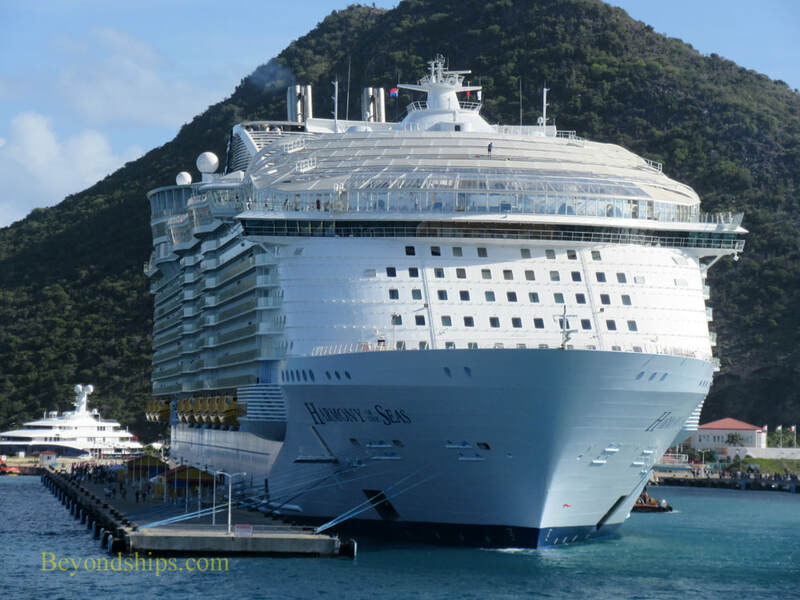 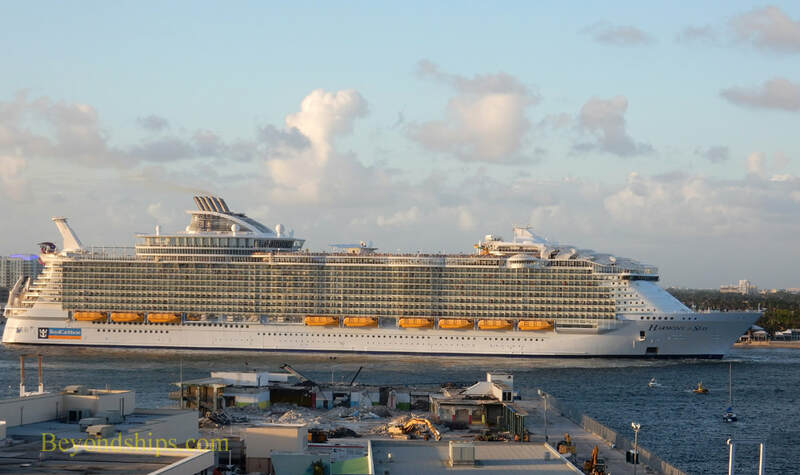 Royal Caribbean's Oasis-class cruise ship gets around, particularly in the Caribbean. 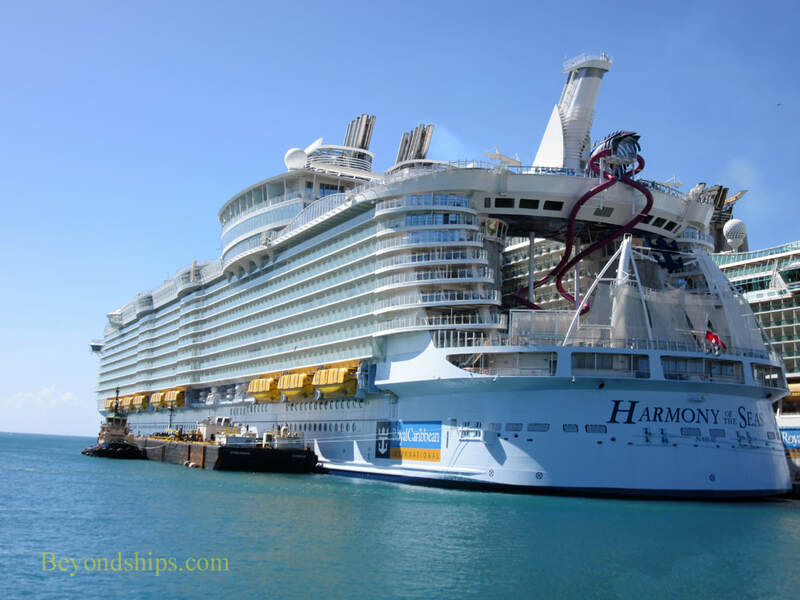 In this pictorial, we show Harmony in a number of ports. 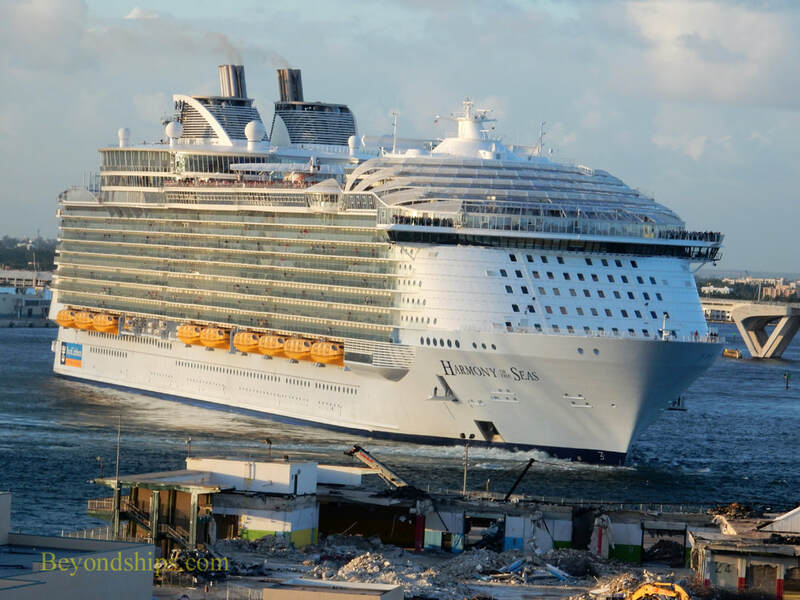 The photos are not from a single cruise but from several encounters. 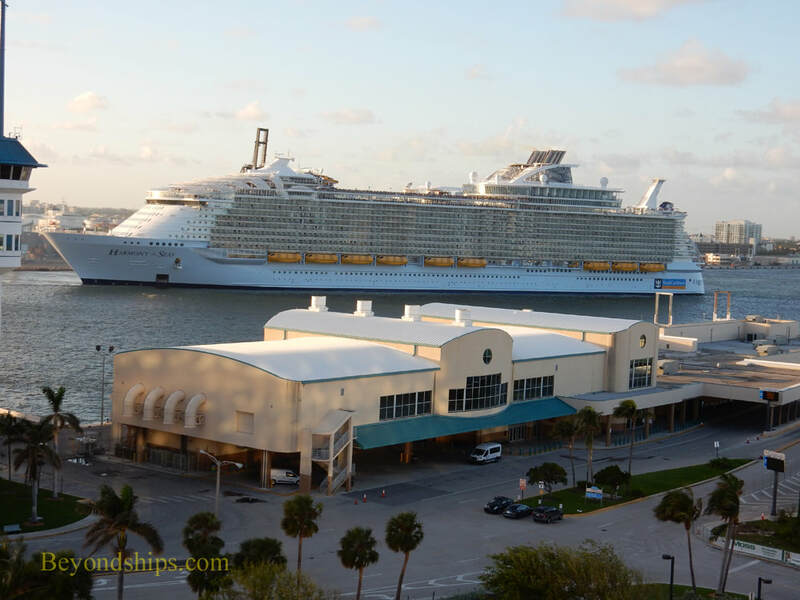 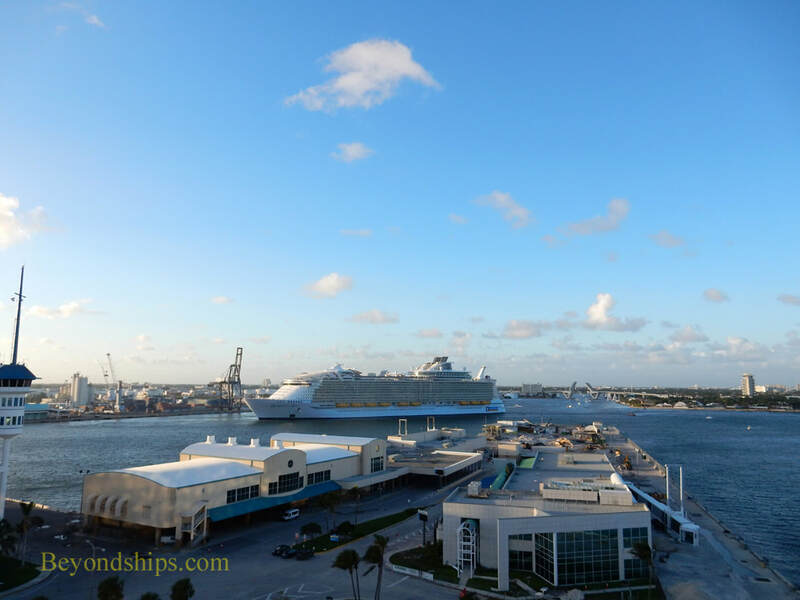 Fort Lauderdale/Port Everglades is Harmony's homeport, the beginning and end points for each cruise. 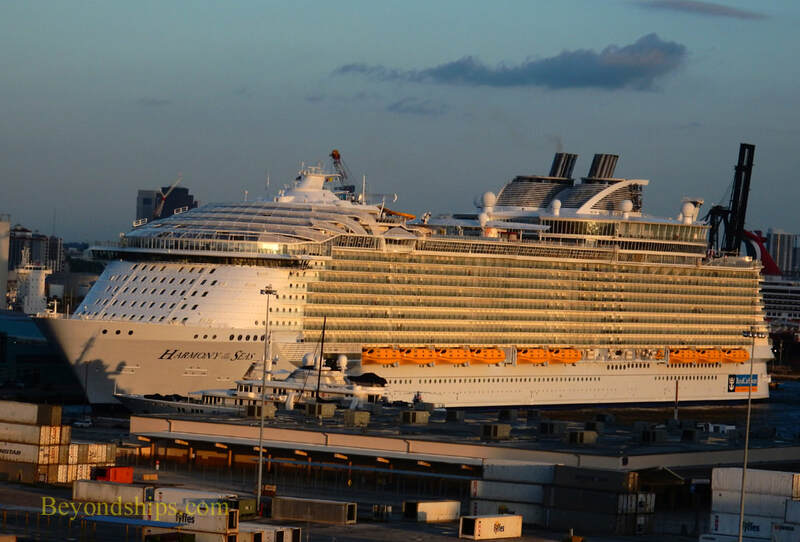 Here Harmony backs away from her berth, makes a 90 degree turn and heads out through the cut to sea. 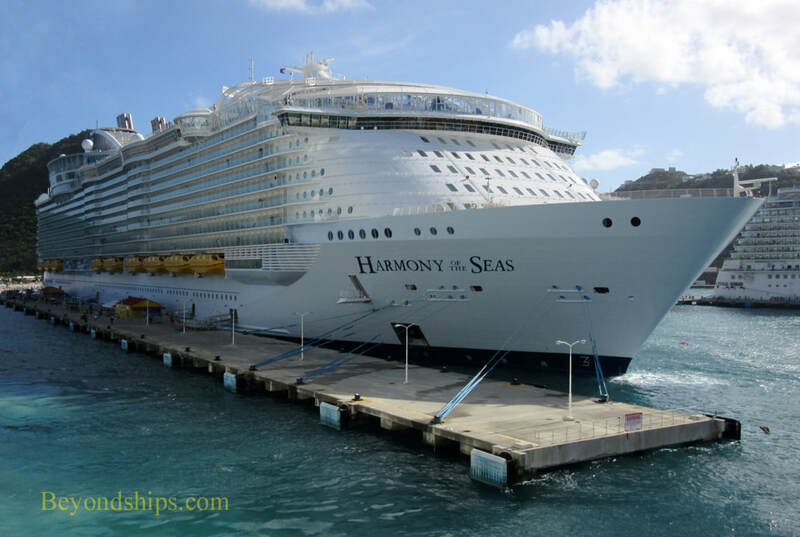 St. Maarten is one of the most popular ports on Harmony's Eastern Caribbean cruises. 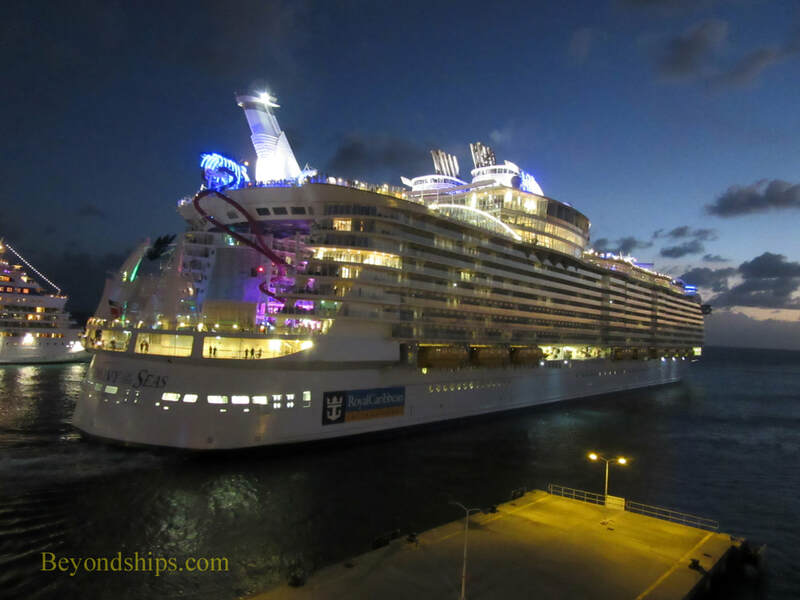 Here, we see her berthed at the A.C. Wathey Pier & Port Facility outside of Phillipsburg and then leaving as darkness falls..